I am looking to purchase my first DLSR (SLR for that matter) and I am really interested in taking an interest in photography as a hobby. I travel to both Latin America and South Africa (June for the Soccer Word Cup) in the upcoming year. I wanted to get your thoughts on what type of lens will be instrumental for taking pictures both at the World Cup, but more importantly the safari I will be going on. 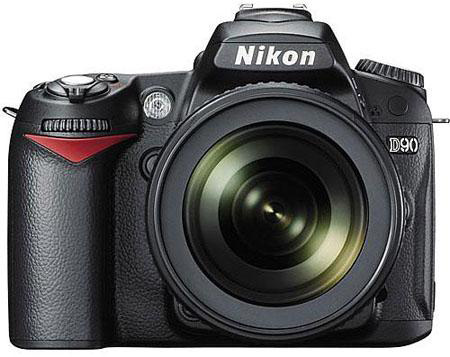 I am looking to buy a Nikon D90, but have no idea about what lenses I should get (will take nature pics, but I am also guessing close up and landscape pics). Also need help on what flash to get and thoughts on camera bag, uv filter, etc. Any thoughts on this and South Africa in general would be much appreciated. Your pictures throughout your blog are awesome. Hi XXXX - thanks for contacting me about your travels and purchasing a DSLR camera and lenses. Unless you have unlimited funds, buying lenses is always going to involve compromises. Please also note that I don't know too much about individual Nikon lenses, so my recommendations and suggestions apply to consumer lenses, not the very expensive pro lenses, which I'm simply not qualified to comment on. A small, light "walkaround" zoom lens for all-round photography, including people and group shots, scenic shots and interior shots. I'd use this lens if I was taking a camera to any football matches, to get "overview" pics of the crowds, stadium etc, rather than carrying a longer lens and trying to get action shots from the grandstand. This set-up will be lighter and easier to handle and keep secure in crowds. My suggestion for this would be the AF-S DX Nikon 18-55mm f/3.5-5.6G VR. Remember that a D90 has a smaller sensor than a 35mm negative, so is affected by the so-called "crop factor", meaning this lens will give you the same angle of view as a 27-82.5mm on a 35mm film or full-frame camera. Find out more from the Nikon site. Nikon 55-200mm f/4-5.6G IF-ED DX VR AF-S. This is the cheaper option and something with more reach would be preferable for wildlife, but definitely worth considering because of price, size and weight and very acceptable image quality. 35mm equivalent is 82.5-300mm. So you'll basically be covered from 27mm to 300mm equivalent with the two lenses. Nikon 70-300mm f/4.5-5.6G IF-ED VR AF-S. I have the equivalent Canon lens and use it often for wildlife and it's long enough most of the time. Equivalent on a 35mm camera would be 105-450mm. I'd take this before the 55-200, but it is more expensive. There are many other combinations, at different price levels. If price is not too much of a concern, then have a look at something like the Nikon 70-200 f/2.8, plus 1.5x and 2x converters. There is a new 70-200 out, so you'll be getting the latest technology. A friend of mine, Sharon Bishop, has the Nikon 80-400mm and is quite happy with it for wildlife - you can view some of her outstanding work here: Sharon Bishop on Redbubble and here: Sharon Bishop Photography. See also Fred Miranda's site for user reviews of all the abovementioned lenses. Remember that a budget or kit lens is never going to get the same rating as a pro lens, so anything around 8 or above is pretty good. Note that all the suggested lenses have vibration reduction, which is a real bonus and essential for safari pics, specially if you're in a game drive vehicle with other passengers and often have to hand-hold the camera. (Before you go on your safari, find a small cloth or canvas bag and fill it with rice to use as a camera support. You can even use a long sock, fill it, and then knot the one end if that's easier). Re a flash - I honestly don't know what flashes are available for the D90, but unless you're doing some serious interior shots, I'd simply rely on the camera's built-in flash as it'll be fine for most cases and will save you carrying extra gear. It's worth getting UV filters for your lenses because of dust on safari, but also worth paying extra and getting good quality. Also test them before taking important pics! I shot hundreds of photos on a trip on Hwange National Park in Zimbabwe with a UV filter I pulled from an old lens and only found out afterwards it was defective and blurred all the photos. Re South Africa - security of your property is a concern, but you should be fine if you're staying in reputable accommodation and also should be fine on safari as there usually aren't random people wandering around. I'd definitely go to at least one football match without a camera to get a feel for the situation and the crowds etc. At the risk of sounding alarmist, I would not wander around the streets on my own, even in daylight, with an expensive-looking camera in view - too easy to grab it and run.